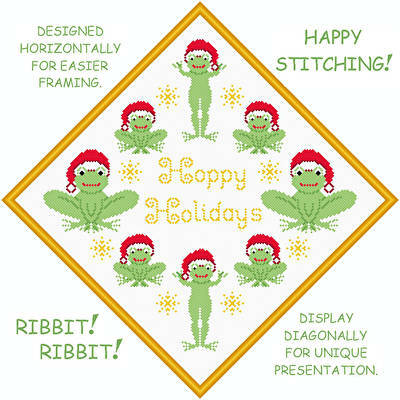 Hoppy Holidays cross stitch pattern... Frogs with Santa hats on their heads surround the words Happy Holidays. Snowflake designs complete the picture. Colors may be changed. All whole stitches are used.